Summer time in Samoens: for families who dare! 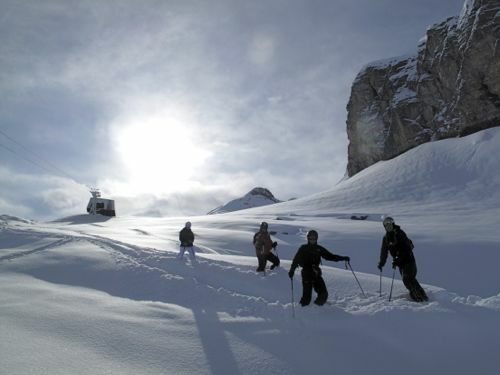 Most people who have come across our beautiful little corner of the world tend to know the village of Samoens for its winter sports and access to the extensive Grand Massif ski area. Rarely do people realise that Samoens is also a fantastic summer location for outdoor adventure activities. Unlike its more extreme neighbours of Morzine, a magnet for downhill mountain bikers, and Chamonix, where the challenging peaks have been attracting the world’s most hard-core mountaineers for centuries, laidback Samoens offers up a mixture of mountain experiences that are perfect for mums and dads who are looking for activities to suit the whole family, from young kids to daring teenagers needing a safe environment to let loose. Self-Catered Chalets Samoens – Special Offers! As the snow continues to fall and we enjoy one of the best seasons in a long time (yes snow really is already 128cm on the lower slopes and 320cm up top! ), we’ve got a few last minute chances to enjoy a chalet holiday in Samoëns. Catered Chalets Samoëns – is a catered holiday for you? Chalet Holidays – Catered or Self-Catered? So you’re thinking about a winter holiday in the beautiful resort of Samoëns. And why not? It is the only village in the French mountains classified as a ‘Caisse Nationale des Monuments Historiques’ – the equivalent to a National Heritage site. Now that you’ve found a destination for your winter adventure, your next decision is whether you are seeking a catered chalet or self-catered holiday. As 2011 comes to an end we wish you all a wonderful and prosperous 2012! We say good bye (hopefully ‘au revoir’) to some wonderful guests today and I’m at the airport waiting the arrival of some new snow lovers as I write this. With the arrival of some of the best early season snow we’ve seen in a long while, we’re starting to fill up quickly. After the treat of the early weekend opening in Samoëns, everybody in the valley (and I do mean everybody!) is excited about the formal opening of the lifts this Saturday. Admittedly, the weather in the village has been pretty variable with snow, rain and everything in between, but whenever there’s a break in the precipitation, the clear skies reveal the snow line well below 1600m (it’s been down to about 900m today! ).